short but sweet and worth it. fantastic story, narration and production! When dangerous psychic heretic Torris Vaun escapes from her custody, Seraphim Miriya is disgraced in the eyes of her fellow sisters and superiors. Following Vaun's trail to the planet Neva, Miriya takes her sisters in pursuit and, along with Hospitalier Sister Verity, starts her investigations. When they uncover a terrifying plot that could threaten the future of the Imperium, is Miriya's and Verity's faith strong enough for them to triumph? A great look into the Adeptus Sororitas. This book delves into the fabric of what makes them the "Daughters of the Emperor". This is a story all about how a sister gets her life flipped upside down, this’ll just take a minute so sit right there how I tell about this sister and her faith in the Emperor. Good story, a nice surprise twist and filled with action and suspenseful situations. A new appreciation for the sister saroritas. 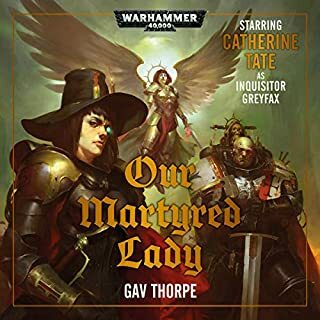 One would expect a story featuring the Sisters of Battle to be filled with pious dialogue, devotion to duty, and an unrelenting drive to hunt down the Witch in the name of the Emperor. They would be correct in that assumption. Following a squad of Sisters, you journey to a world steeped in the faith of the Imperium; you will witness the Sisters in combat and in contemplation, and you will not be disappointed. Sound like something you might enjoy? Good, then may the light of the Emperor guide you as you embark upon your journey. Emma Gregory has serious talent when comes to not only narration but acting the various roles uniquely and convincingly. WELL DONE!!! Everything that's Sisters of Battle! 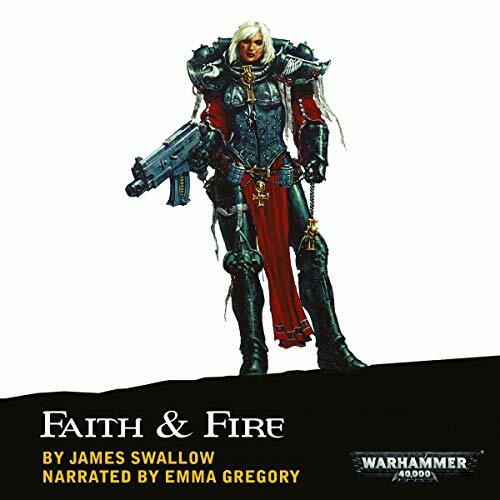 Emma Gregory is just an amazing narrator and is perfect for portraying the Adeptus Sororitas. dull and long. Other books by this Author are better. this was a waste of time. Faith and Fire is a AudioBook I have heard a huge amount about and, in all honesty, is one of the reasons I decided to take up a subscription: boy (or Sister) does it not disappoint. The action is fantastic, the characters awesome, the voice work excellent. I thoroughly enjoyed this and was in a position where I was looking forward to coming home from work to listen to some more! 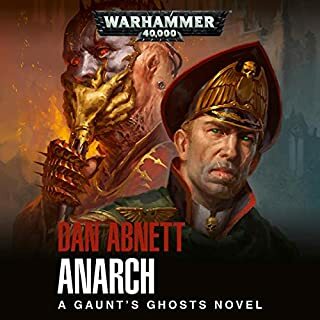 Would highly recommend for a 40k Fan or Sci-Fi fan in general. The plot is surprisingly complex for a 40k story. It was a compelling core cast of characters and a couple of antagonists who combine cunning and monstrousness. Everything works from beginning to end - I'm just not really convinced by James Swallow's writing. It's fine. It's competent. He does characters well but action less well. If you're in the mood for a Sisters of Battle novel this will definitely be your thing. 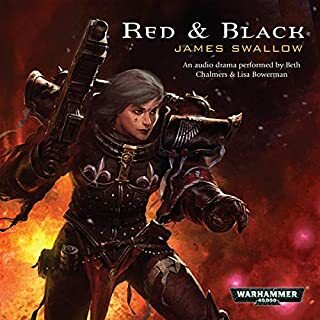 If you're not familar with Warhammer 40k, be warned that James drops a LOT of terminology (Rhino, multi-melta, bolter) without any explanation. You can pick it all up from context but it might get annoying. 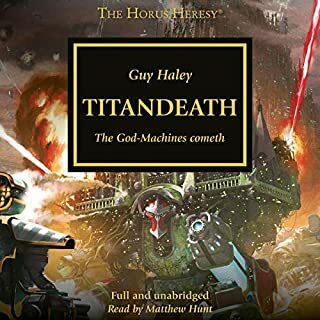 Great 40k novel, and an interesting story line. Loved It, and great story of how the sisters of Battle operate. I wish there are more stories. Loved it! Great story I've read before but listening to it while painting. Can 't wait until the plastic Sisters come out! Really well read. Good story and chracters were ok, maybe a little more back story, but really enjoyed it all. Ave Imperator! 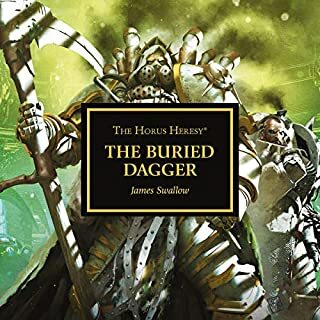 a good 40k story in the vein of eisenhorn and co.
a good 40k story in the vein of eisenhorn and ravenor, this time following a group of sisters of battle across the hives of an imperial world. 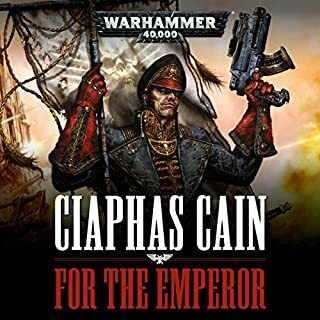 actually full of several grey-area characters which was a nice surprise, and with several cool nods to the pre-heresy imperium. well narrated by emma gregory, who does a rather fantastic scottish accent! give us more like this BL. thumbs up!